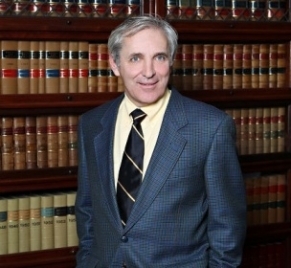 Let Frank Genesee's knowlege of the criminal court system work for you. Call for your free review today. 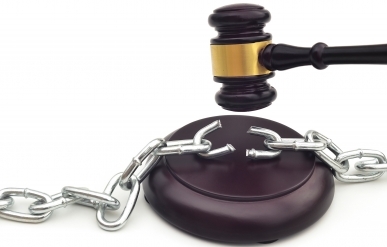 Plea bargains and dismissals are part of the process. Always remember that you are innocent until proven guilty. Just because you were charged with a criminal offence does not mean that you will be convicted. It is not your job to prove your innocence. The prosecution must prove your guilt. Never assume that the crown prosecutor has all the evidence necessary to do so. There are a number of reasons for which the criminal charges against you might be dismissed or reduced. Frank Genesee, an experienced criminal defence lawyer in Hamilton, will review your file and determine if any of these reasons apply to your situation. It is vital that you contact Frank Genesee before you plead guilty. If you have not yet entered a plea, it may be possible for Frank Genesee to negotiate a plea bargain, reducing the charges against you. If the evidence against you is weak, it may be in your best interest to plead not guilty and proceed to trial. You won’t know the best way to proceed until you speak with Frank Genesee. You have a lot to lose if you are convicted of a crime. Never give up hope and never plead guilty until you know your options. Call Frank Genesee today at (289) 426-1644 and make an informed decision about your future. Frank Genesee will advise you about whether to proceed to trial. Frank Genesee will review the evidence that the prosecution has against you and analyze their case for strengths and weaknesses. Frank Genesee will then set out your various options and advise you of the best way to proceed in your circumstances. What evidence exists against you? How likely is it that you will be convicted if your case proceeds to trial? Is it possible to have the criminal charges against you dismissed or reduced? If the case against you is weak, Frank Genesee may recommend going to trial, where the judge will dismiss the charges against you. Sometimes, when police officers believe that a person is guilty of a crime but they don’t have all the evidence they need to prove it, they will charge the person and hope that he or she pleads guilty. Don’t fall into this trap. Consult with Frank Genesee before you enter a plea. Then, if you do decide to plead guilty, you can do so with the confidence of knowing all your options. Frank Genesee knows the strategies involved in negotiating a plea bargain. If the case against you is less certain, you may be in a position to negotiate a plea bargain. In a plea bargain, the prosecution agrees to reduce the charges against you and, in return, you agree to plead guilty to the lesser charge. Never try to negotiate a plea bargain without a lawyer. You will always be negotiating from a position of weakness and the prosecutor will know that. If attempting to negotiate a plea bargain is your best option. When to approach the prosecutor regarding a plea bargain. What to say to convince the prosecutor to agree to a plea bargain. The prosecutor is not going to agree to reduce the charges against you just because you ask. Frank Genesee knows the law and your case well enough to provide the prosecutor with a good reason to negotiate. Sometimes police officers lay the wrong charge. It is possible that the criminal charges laid against you were more severe than were warranted in the circumstances. This can happen when police officers don’t have the time or resources to review the charges laid, or when an inexperienced police officer has limited knowledge of the law. Frank Genesee will determine if you were overcharge and, if so, will have the charges against you reduced or dismissed. It is easy to lose hope when facing criminal charges. Don’t give in to those feelings and don’t plead guilty until you contact Frank Genesee and know your options. Call Frank Genesee today and get the expert advice that you need.